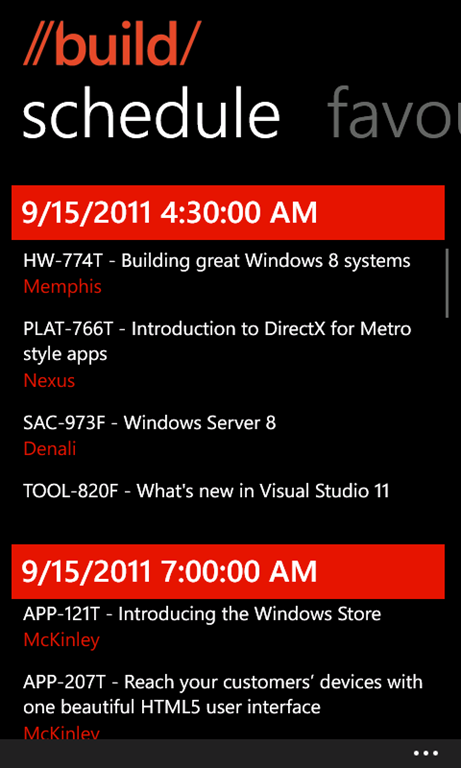 This year I was given the location of the Build 2012 data feed, and asked if I could help build the conference app for the Windows Phone. 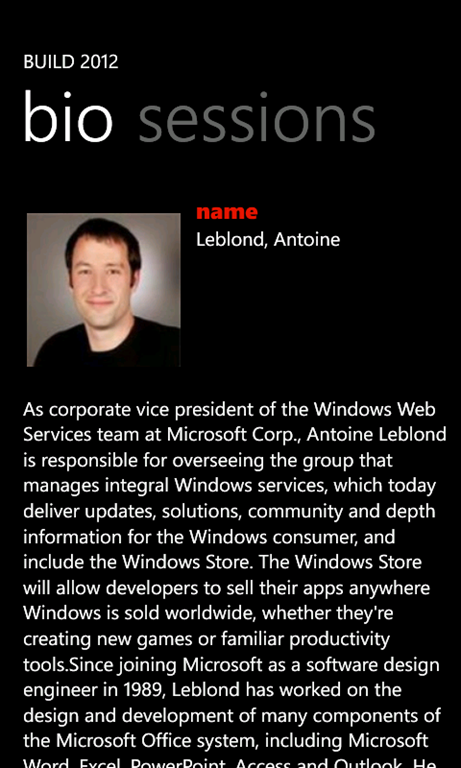 You can download the Build 2012 conference application from the Windows Phone marketplace. Search for sessions by title, session code or abstract. View the sessions by schedule slot. View slides directly on your phone (once uploaded to Channel 9). Watch the sessions directly on your phone (once uploaded to Channel 9). 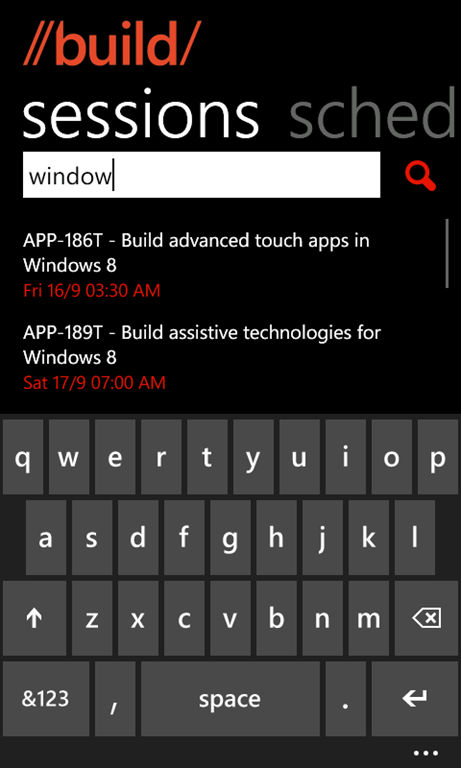 And of course, the application was built using the Infragistics NetAdvantage for Windows Phone controls. Reblogged from my Infragistics account. The video of my TechEd session has been online for a while. However before blogging about it, I thought I would take a unique approach to sharing the code samples. My session introduced the DataBinding and DataTemplating features of Windows 8, and then progresses into how you can create native cross platform applications. Rather than just zip the final source code up and provide it “as is”, I instead replicated the steps I took in the video and used Git to take snapshots throughout the development. I tagged each check-in with the timestamp of the video that the source code corresponds to. Which means you can follow along on your own, and if you miss something, you can just view that specific check-in to see what changed. 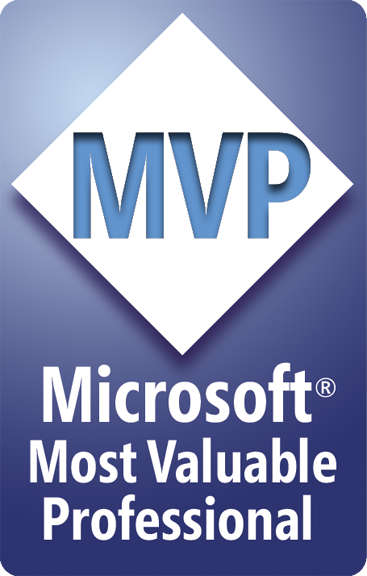 This morning I got an email from Microsoft informing me that have been presented the Microsoft MVP award for Windows Azure. It is a great feeling to see my contributions to the community recognised directly by Microsoft. It sounds like the welcome package they are sending in the mail is rather dangerous!